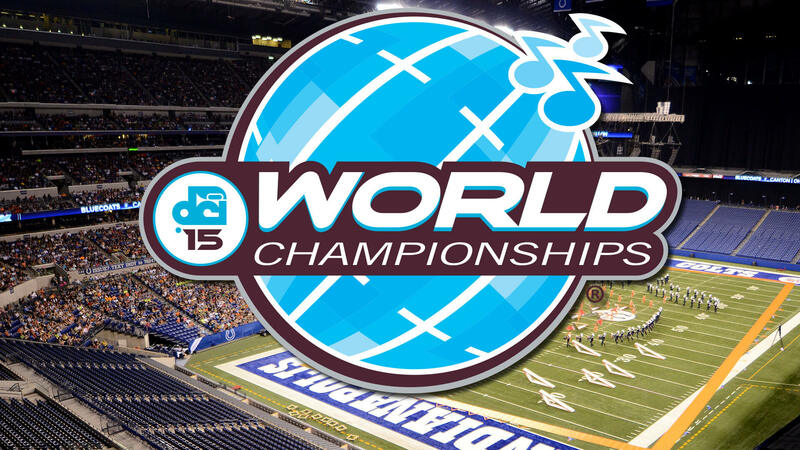 The 2015 Drum Corps International World Championships, Aug. 3-8, will mark a week-long celebration of the world’s most elite marching music ensembles. Featuring a high level of performance excellence coupled with an intense competitive spirit, more than 35 drum and bugle corps filled with dedicated young performers will take the field throughout the week, creating unparalleled excitement as they vie for the World Championship title. But the World Championships are more than competition and placements. Thousands of drum corps alums, family members and fans will travel thousands of miles to share in the excitement of this year’s “Finals Week,” before another summer season is written into the history books. The action kicks off in Michigan City, Indiana, with the Open and International Class Prelims and Finals Monday and Tuesday, Aug. 3 and 4. Events will then move to Indianapolis, beginning with the DCI Performers Showcase presented by System Blue and Kickoff Party and Hall of Fame Induction on Wednesday, Aug. 5, before the action moves into Lucas Oil Stadium Aug. 6-8, for three incredible days of competition. Bookmark this page, as we’ll update this guide throughout the week of the Championships with additional information as it becomes available! • Internationals join the Open Class excitement: Michigan City’s Ames Field in Northwest Indiana will once again host the Open Class World Championship over two days of competition. Joining those corps will be three International Class ensembles including Jubal (The Netherlands), Gita Surosowan Banten (Indonesia) and Chien Kuo High School (Taiwan) who will compete for the International Class title. • Taking it to the streets: The DCI Performers Showcase presented by System Blue returns to downtown Indianapolis’ Georgia Street in a festival-like outdoor atmosphere that showcases the best of drum corps’ individuals and ensembles. • The Battle gets bigger: Saturday morning and afternoon on the day of the World Championship Finals, downtown Indianapolis will be rockin' with SoundSport and DrumLine Battle performances, as these two exciting events return bigger and better than ever to Pan Am Plaza and Georgia Street along with food trucks, exhibitors and more! • Musical middle schoolers: DCI once again presents the INpact Indiana's Future Band made up entirely of Indiana middle school musicians, and for the first time since this group formed in 2012, color guard members. • Time to tailgate: New for 2015, tailgating comes to the DCI World Championships! Thursday, Friday and Saturday in Indianapolis, reserve your car or RV parking pass in advance, or just stop on by for the party that is only a short walk from Lucas Oil Stadium. 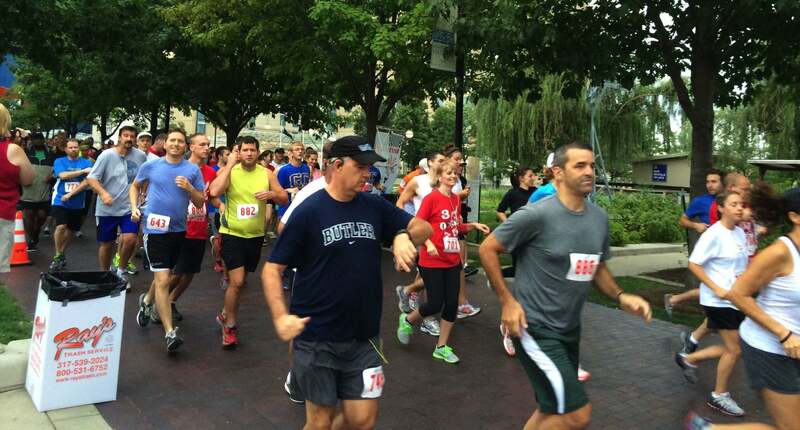 • The race is on to Lucas Oil Stadium: The second-annual Street Beat 5K comes to downtown Indy the morning of the DCI World Championship Finals for a run/walk race that supports drum corps and other musical organizations. Eastern Time Zone unless otherwise noted. Times subject to change. About: In its eighth year in Michigan City, the Open Class Prelims will kick off all 2015 World Championship events. 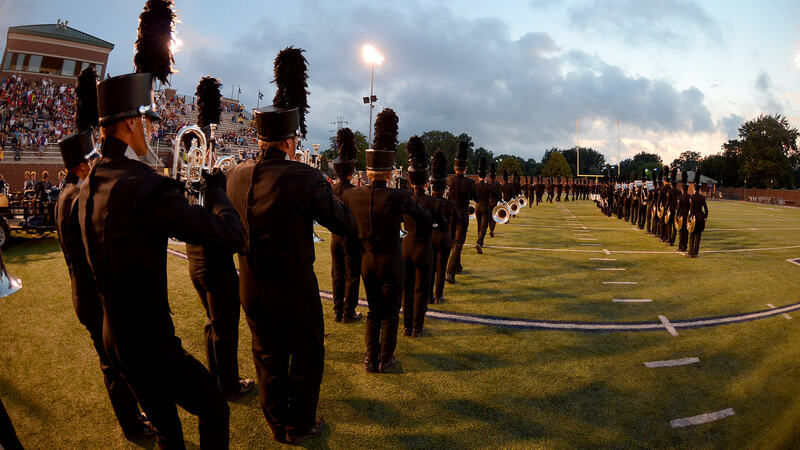 Taking place at Ames Field, an intimate stadium built with drum corps in mind, this event will feature all participating Open Class corps in addition to three foreign ensembles that will compete for the International Class title. View Open Class Prelims lineup and performance times. About: The DCI World Championships continue on Tuesday, August 5, as the 12 top scoring Open Class corps from the Open Class Prelims compete for the title of World Champion. In addition, this year’s international groups will go head-to-head for the International Class title. View the Open Class Finals lineup and performance times. Individuals and ensembles will be in the spotlight during the DCI Performers Showcase on Wednesday, August 5. About: The DCI Performers Showcase presented by System Blue (formerly the Individual & Ensemble Championship) will give members of World, Open and International Class drum corps, in addition to SoundSport and DrumLine Battle teams, the opportunity to show their individual and small group talents in an up-close setting. This year's event will once again be held outdoors in a vibrant, festival-like atmosphere on Georgia Street in downtown Indianapolis, with color guard performances inside at the Indianapolis Artsgarden. View the event schedule and highlights. Learn more about the 2015 DCI Hall of Fame inductees. Competition gets underway at Lucas Oil Stadium on the morning of Thursday, August 6. About: Come see your favorite corps warming up before their competitive Prelims performances at historic Military Park, a 14-acre green space bordering the campus of IUPUI. Military Park is a little less than a mile from Lucas Oil Stadium. Learn more about Military Park. When: 1 p.m. to 1 a.m. Admission: Free and open to the public with a limited number of parking passes for cars and RVs available for purchase online. About: Overlooking the bustling corps parking lot outside of Gate 10 of Lucas Oil Stadium, tailgaters get a special spot to gather and celebrate the World Championships in a party-like atmosphere. Parking passes (including three-day passes for RVs) are available for purchase in advance online. Once passes are sold out, it’s only a short walk to the stadium and everyone is invited to stop by, join the fun, and take advantage of Gate Ten’s reasonably-priced concessions and 21-and-over bar section. The Festival Marketplace at Lucas Oil Stadium has the latest merchandise from DCI corps and more. About: Grab some cool new gear from DCI, your favorite corps and DCI’s corporate sponsors! Entertainment, souvenirs, information, and other items and activities will be awaiting. 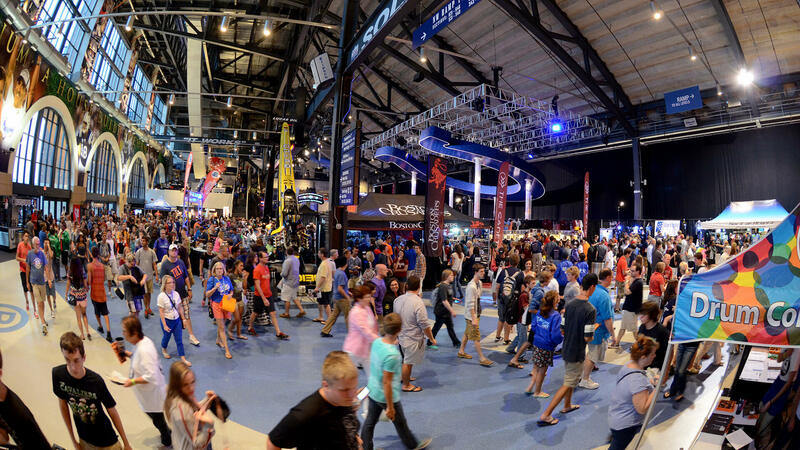 Immediately upon entering Lucas Oil Stadium’s east-side entrance, fans will find themselves immersed in the Festival Marketplace with booths lining the concourse leading to the seating area. When: Gates open at 8 a.m.., first corps steps off at 9:17 a.m.
About: 2015 marks the seventh anniversary of World Championship events at Lucas Oil Stadium. In addition to the performances of all 22 World Class groups, Open and International Class corps will also compete at this all-day event, featuring more than 35 corps. View Prelims lineup and performance times. Where: More than 600 movie theaters across the U.S.
About: If you can’t make it to Lucas Oil Stadium, you can still take part in the World Championships excitement. Presented by DCI and Fathom Events, "Big, Loud & Live 12," will bring you the complete performances of the top 15 corps and highlights from earlier in the day live in movie theaters nationwide. Learn more, and find a theater near you! 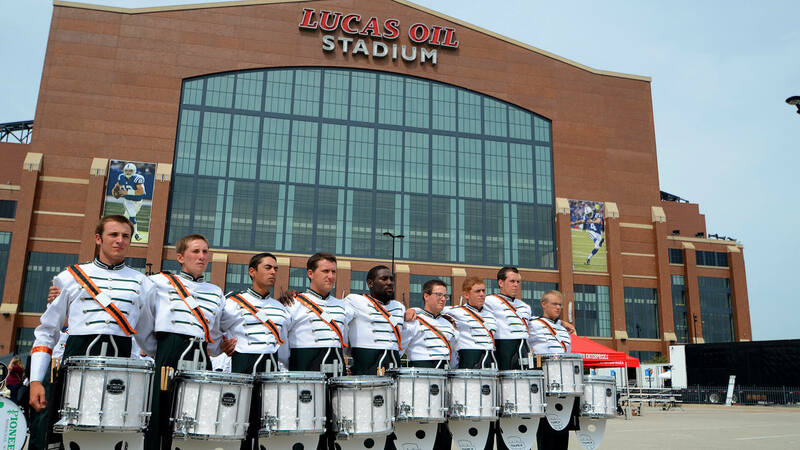 Military Park is where fans can watch their favorite corps warm-up before competing at Lucas Oil Stadium. 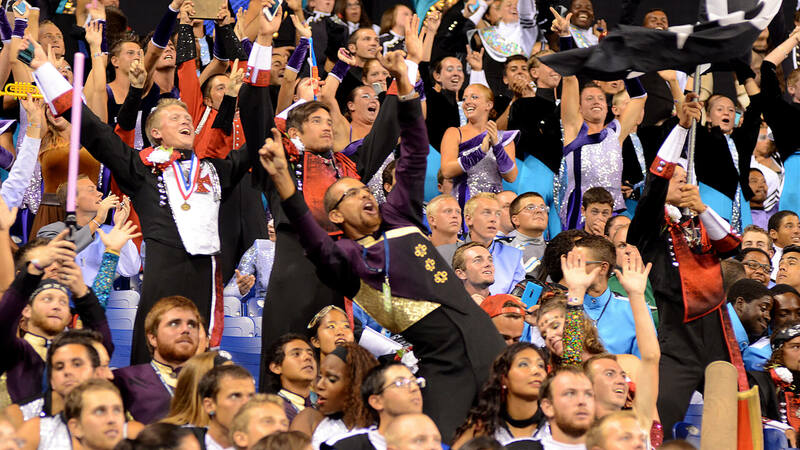 When: 8:30 a.m. to 10:30 p.m.
About: If you’re a college student currently majoring in music education (undergraduate or graduate level), you can attend the 2015 DCI World Championship Semifinals for free! You’ll experience the event inside and out, kicking off the day with motivational speaker Fran Kick, DCI Hall of Fame member Michael Cesario and a series of marching music education insiders. About: Watch your favorite corps warm up before they take the field for the Semifinals competition. Military Park is a little less than a mile from Lucas Oil Stadium. A shuttle bus to and from Lucas Oil Stadium and the Warm-Up Zone will run from approximately 1 p.m. to 10 p.m.
About: Purchase souvenirs and other merchandise from your favorite World and Open Class corps, Drum Corps International and more! The Festival Marketplace is located throughout the main stadium concourse leading from the stadium’s east entrance to the seating areas. About: Overlooking the bustling corps parking outside of Gate 10 of Lucas Oil Stadium, tailgaters get a special spot to gather and celebrate the World Championships in a party-like atmosphere. Parking passes (including three-day passes for RVs) are available for purchase in advance online. Once passes are sold out, it’s only a short walk to the stadium and everyone is invited to stop by, join the fun, and take advantage of Gate Ten’s reasonably-priced concessions and 21-and-over bar section. When: Gates open to marketplace 12:30 p.m., First corps steps off 2 p.m.
About: The World Championship Semifinals features DCI's top 25 corps as determined by Thursday’s Prelims event. These corps will duke it out for a spot in the coveted "Top 12," giving them one more chance to perform on Saturday. View lineup and performance times. 2015's graduating corps members will be recognized on the field following the Semifinals competition. 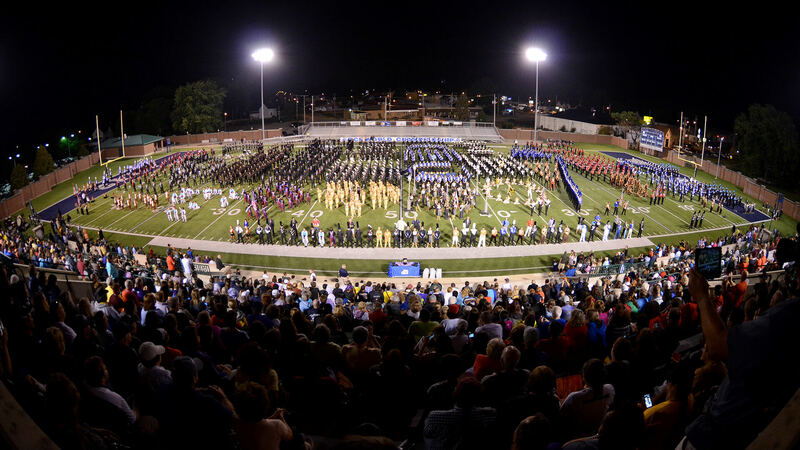 About: With the help of the U.S. Army Bands, Drum Corps International honors the graduating class of 2015 – corps members who have dedicated their time, passion and hard work to the drum corps activity over many years in this special ceremony. Also recognized will be the Hall of Fame Class of 2015 and other corps member scholarship recipients. Admission: Free and open to the public. Food and drink available for purchase. About: In a new location for 2015 just across from Lucas Oil Stadium’s south gate entrance, the DCI World Championships After-Party will follow up Friday night’s Semifinals competition. Open to the public, music and entertainment will be abound, making this a celebration not to be missed! The second annual Street Beat 5K will begin on the morning of Saturday, August 8. 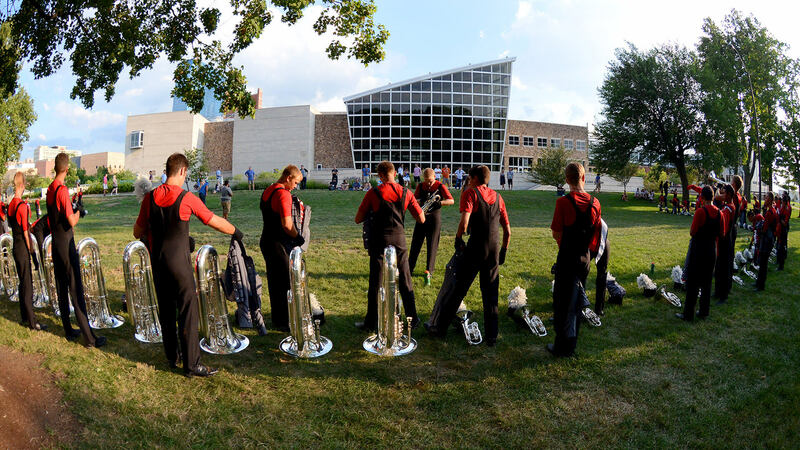 About: The second-annual Street Beat 5K will give runners and walkers the opportunity to start the morning of the DCI World Championship Finals bright and early to support their favorite corps. Participants will be able to choose which drum corps or local arts groups they’d like to support when registering, with 50 percent of the proceeds from designated registrations going directly to their selected organization. This year’s 5K course will start at Military Park and end at Lucas Oil Stadium. About: One of Drum Corps International’s newest performance programs, SoundSport showcases ensembles of any age, size and instrumentation in an intimate performance atmosphere. 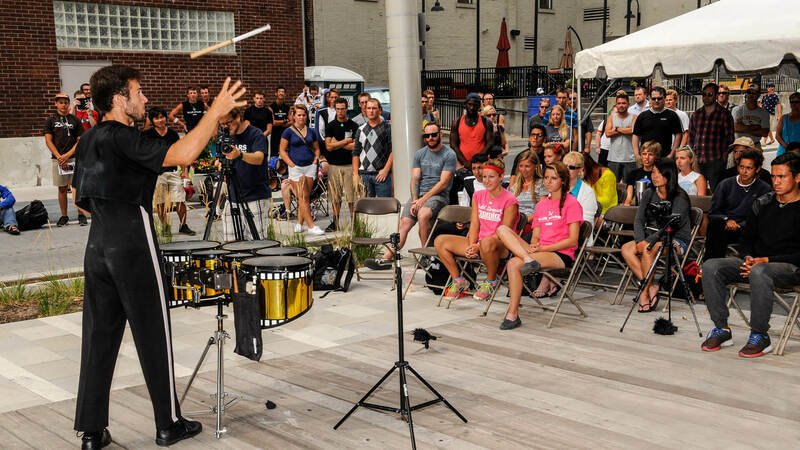 Bigger and better than ever in 2015, 19 SoundSport teams are scheduled to compete in Indianapolis, with performances taking place on Pan Am Plaza, a wide-open area bordered by Union Station and steps from Georgia Street and Lucas Oil Stadium. Be on the lookout for a variety of Indianapolis’ gourmet food trucks surrounding the arena, as the streets of downtown Indy turn into a festival of the performing arts. View a lineup of competing SoundSport teams. 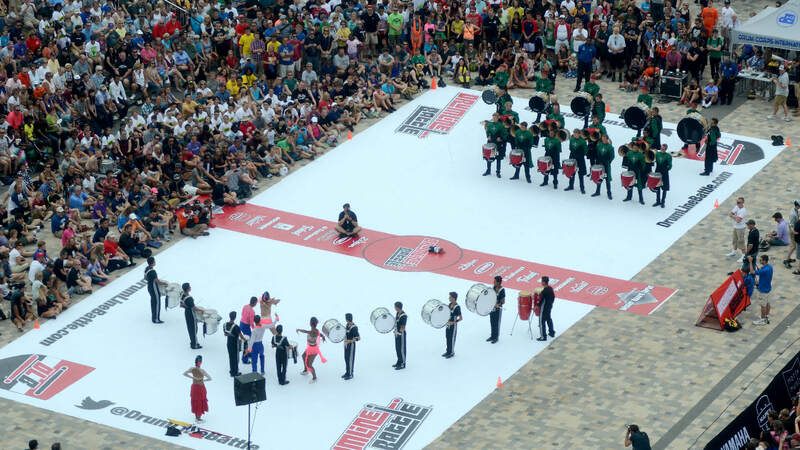 DrumLine Battle returns to Pan Am Plaza and Georgia Street on Saturday, August 8. When: 12:30 p.m. to 3 p.m.
About: In the late morning and afternoon prior to the start of the World Championship Finals, downtown Indy will be slamming to the rhythm of a massive DrumLine Battle. DrumLine Battle is a live, high-energy, entertainment-focused competition for marching percussion ensembles. Some 20 lines are expected to be on hand including those of DCI drum corps, scholastic and independent groups and international teams. Who’ll throw down and become the next DrumLine Battle Champion? Be there to find out! Learn more about DrumLine Battle. About: Drum Corps International is proud to welcome attendees of the Lesbian and Gay Band Association (LGBA) National Conference to the DCI World Championships. The LGBA, which promotes LGBT music, visibility, and pride by providing an international network of lesbian and gay bands in all stages of development, will put together a 200 musician pep band that will perform on Lucas Oil's North Plaza just outside of the stadium. Learn more about the LGBA National Conference. About: Depending on how many Championship events you’ll be attending this week, here’s either your first or final opportunity to purchase souvenirs from Drum Corps International, the corps and DCI's corporate sponsors. About: ”Kick Start” your fall marching band season with DCI and motivational speaker Fran Kick! Kick's interactive and engaging leadership presentation will inspire students to reach new levels of responsibility, discipline and self awareness, all while nurturing the core values that will help them succeed in life. About: Watch your favorite corps warm up before they take the field for their final performances of the 2015 summer season. Military Park is a little less than a mile from Lucas Oil Stadium. A shuttle bus for fans will run between Lucas Oil Stadium and Military Park from 5 p.m. to 10 p.m. The Commandant's Own makes its annual return to Lucas Oil Stadium to kick off World Championship Finals. • The 2015 Open Class DCI World Champion, who will be named on Tuesday of Championships Week, will perform in exhibition. • After completing a whirlwind tour of Indianapolis for rehearsals and activities the day before, the INpact Indiana's Future Band, an ensemble made up entirely of Indiana middle school students will perform as part of the opening ceremonies of the World Championship Finals. The group will have the very special opportunity to perform with drum corps' very own Al Chez formerly of the Late Show Orchestra, and the Star United mini drum corps ensemble. 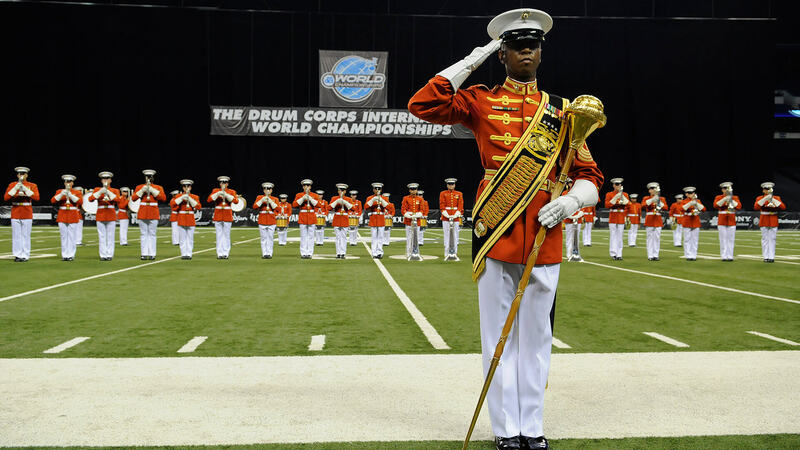 • As an annual tradition of the World Championship Finals, the Commandant’s Own, the U.S. Marine Drum and Bugle Corps will perform its field show and the National Anthem to Saturday’s event. When: Gates open to Festival Marketplace at 3:30 p.m., Ceremonies and special performances beginning at 5:30 p.m., First corps steps off at 7 p.m., Awards Ceremony is at 10:45 p.m.
About: The top 12 drum corps will compete for the last time in 2015 for the chance to be named World Champion and to affix their corps' name to the DCI Founders Trophy.